NATIONAL GEOGRAPHIC PHOTOGRAPHER, JOEL SARTORE, PHOTOGRAPHS 8,000TH SPECIES! Joel Sartore is one step closer to photographing every living species currently residing in a zoo or wildlife sanctuary. He has r ecently captured a photo of a Pyrenean Desman, marking his 8,000th photo in the National Geographic Photo Ark; a collection of his images taken to shed light on animal conservation. This is also the collection of images he will share with us at The Paramount Theater this June! You can learn more about Sartore’s story, and see his amazing photographs at The Paramount on Friday, June 22 for the opening night of our National Geographic Live Series. To purchase tickets please visit: http://charlottesville.theparamount.net/single/SYOS.aspx?p=3343. 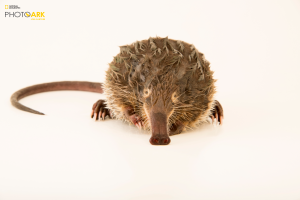 To learn more about the Pyrenean Desman Click Here.